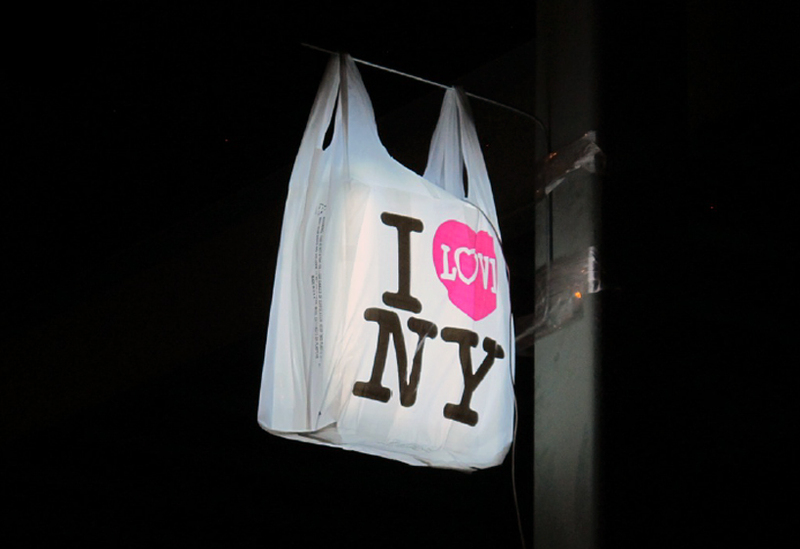 Brooklyn-based artist Takeshi Miyakawa was arrested on Saturday while he was installing illuminated “I Love NY” shopping bags around New York City. Miyakawa intended the art installation to be his tribute to the city, instead, the bags were reported to police as suspicious packages, resulting in the dispatch of the NYPD bomb squad. Miyakawa has been charged with planting “a false bomb or hazardous substance” among other crimes. He is now in jail pending a court-ordered psychological evaluation.